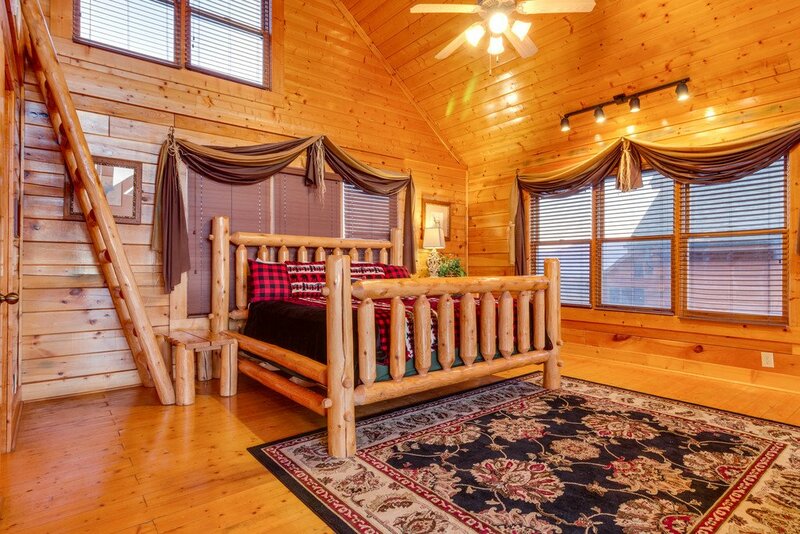 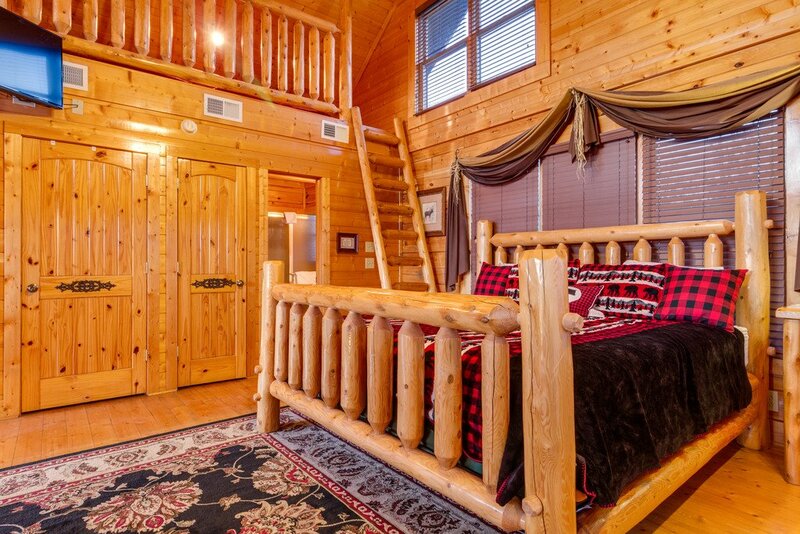 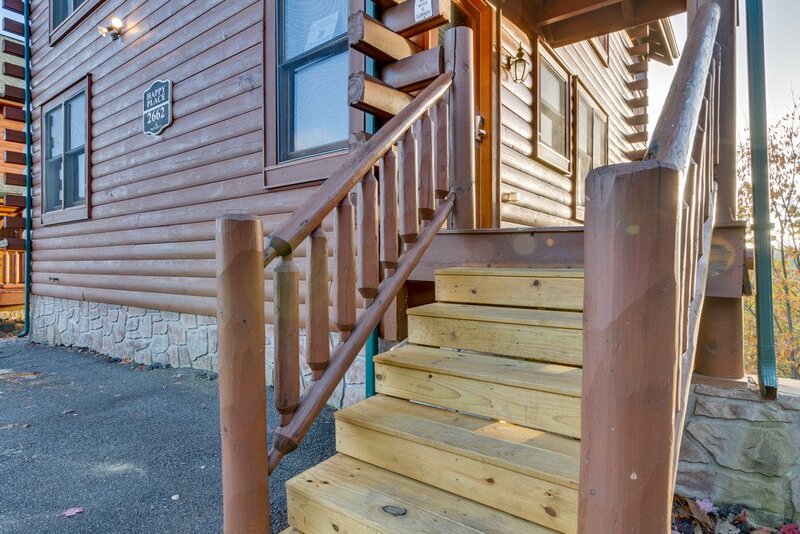 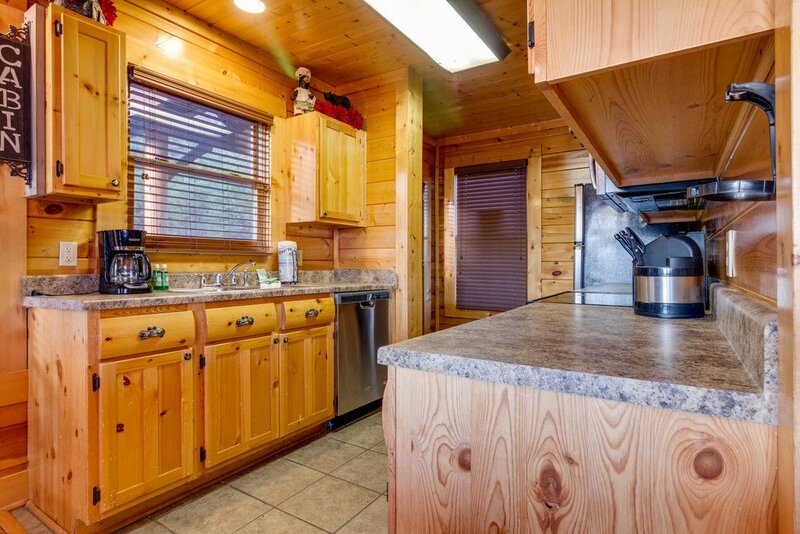 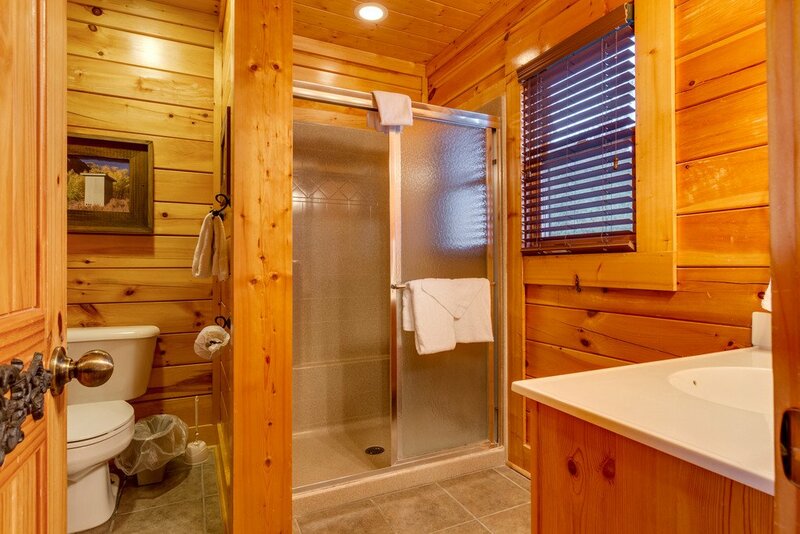 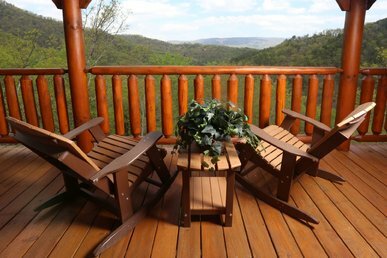 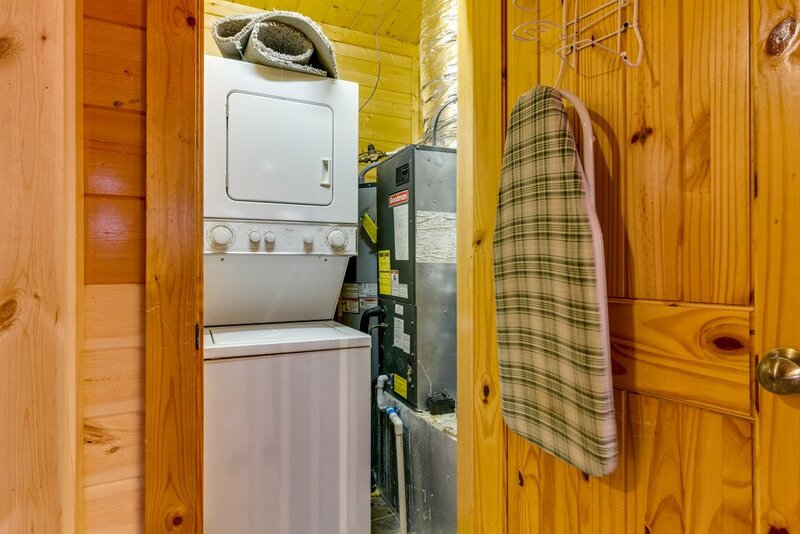 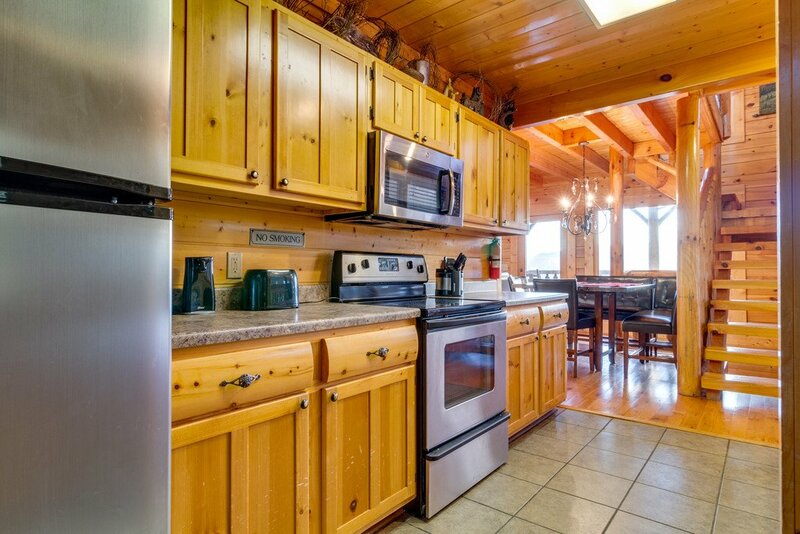 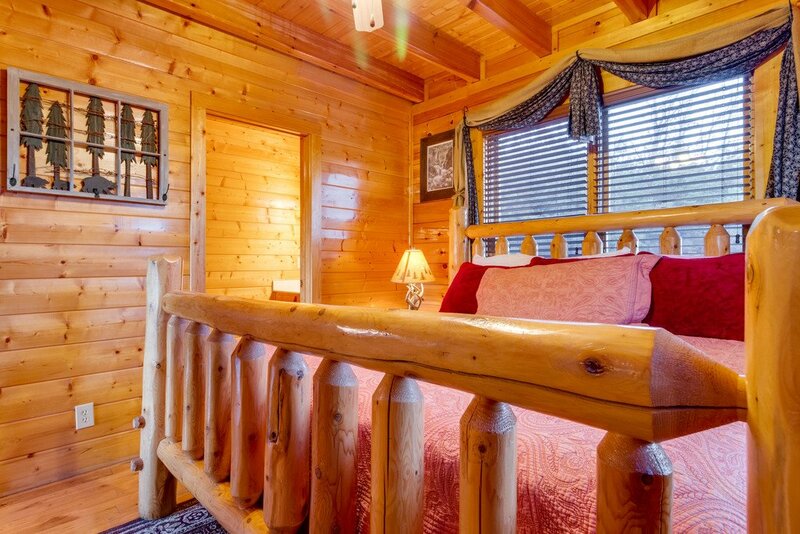 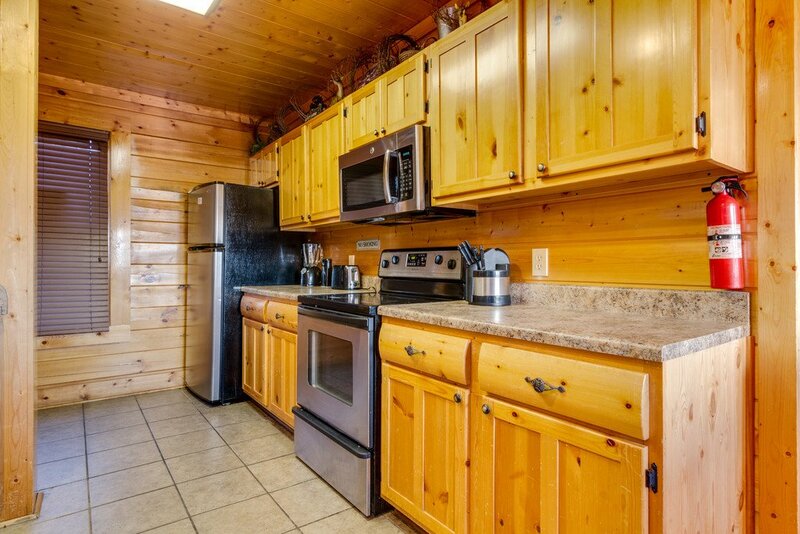 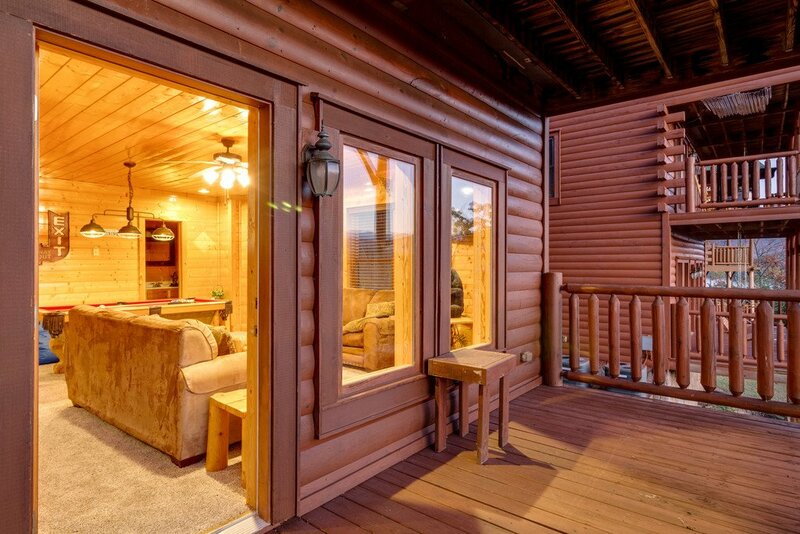 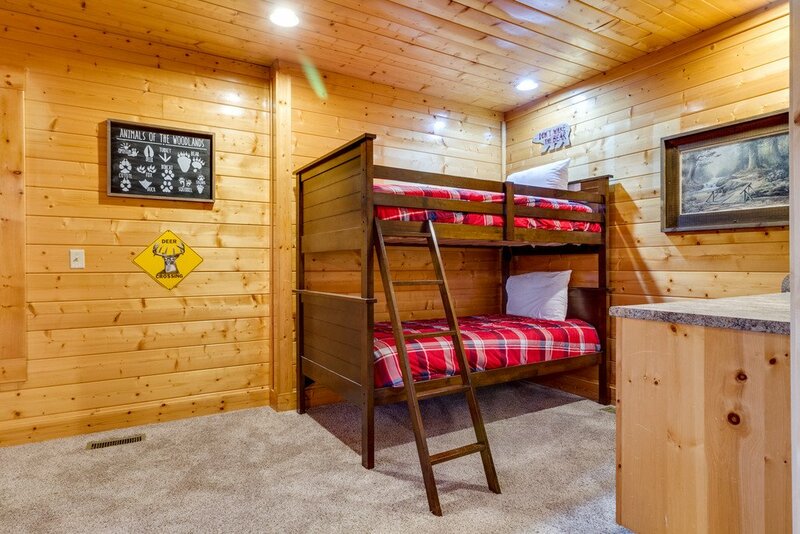 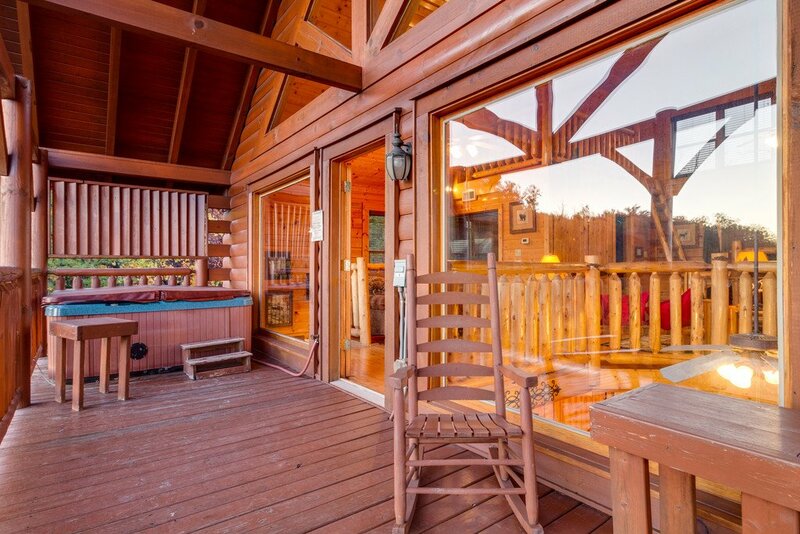 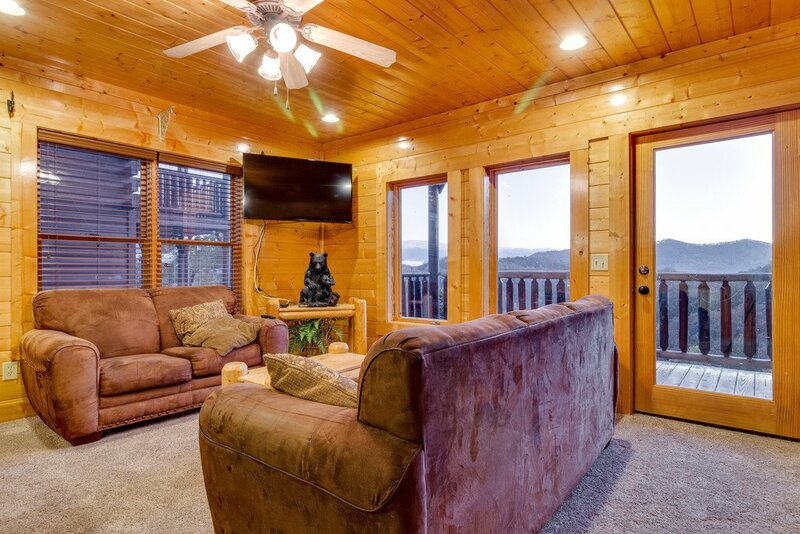 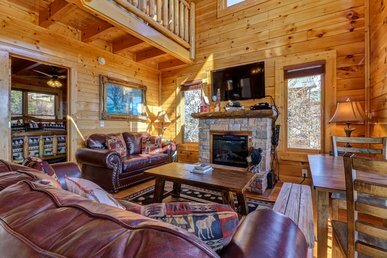 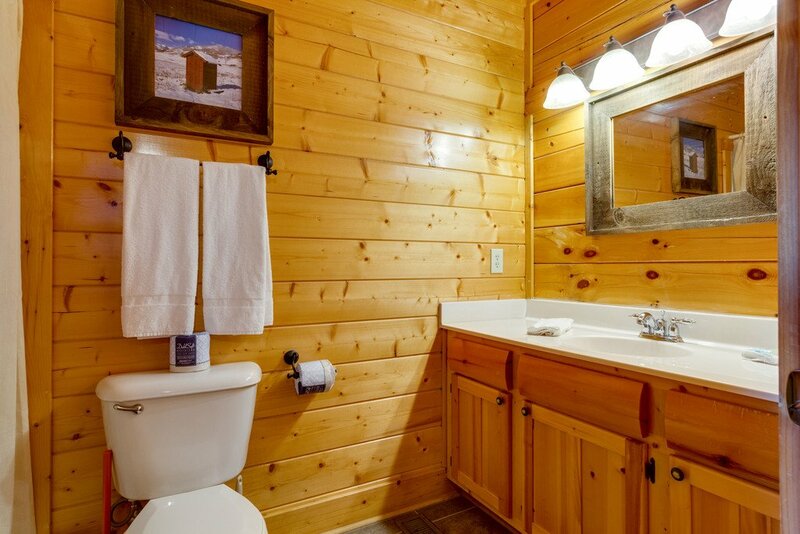 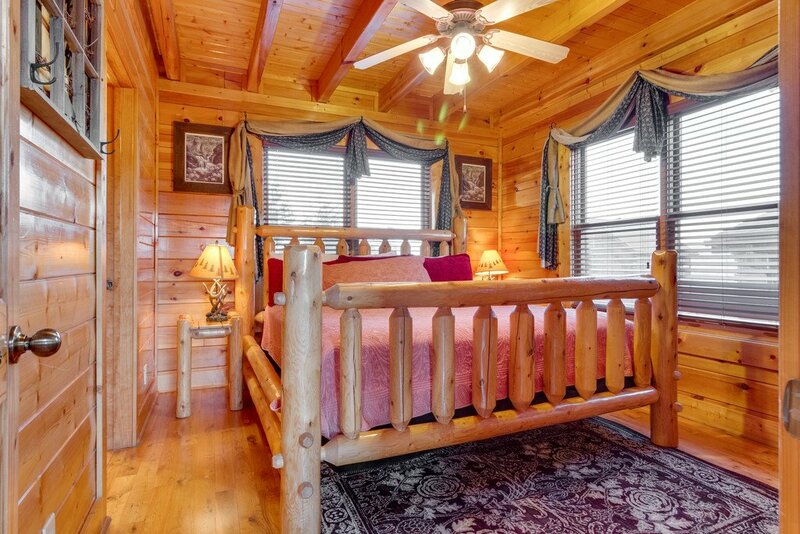 Find your Happy Place in this two bedroom luxury resort cabin. 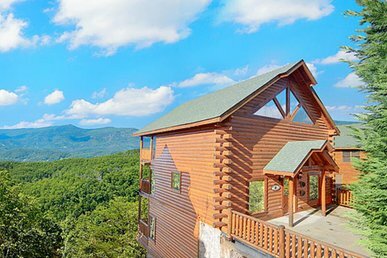 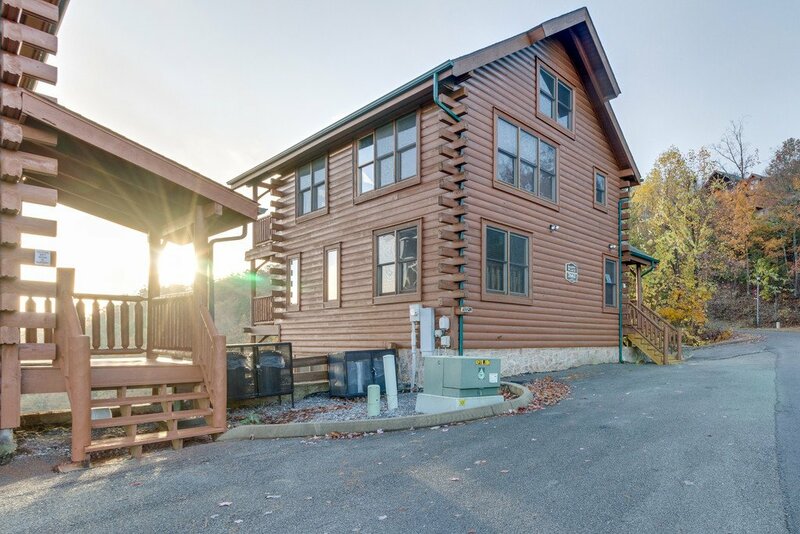 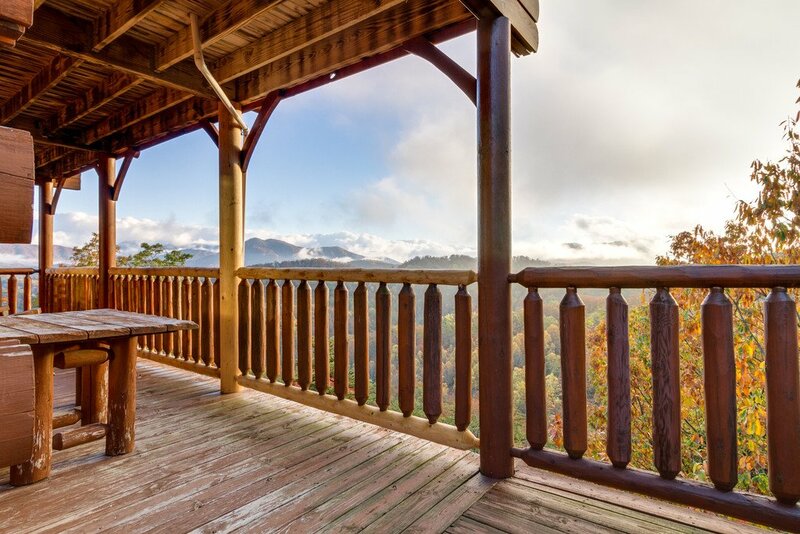 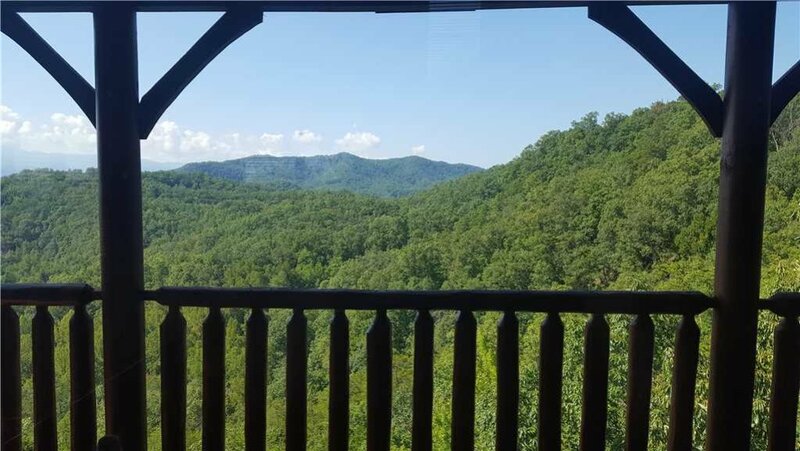 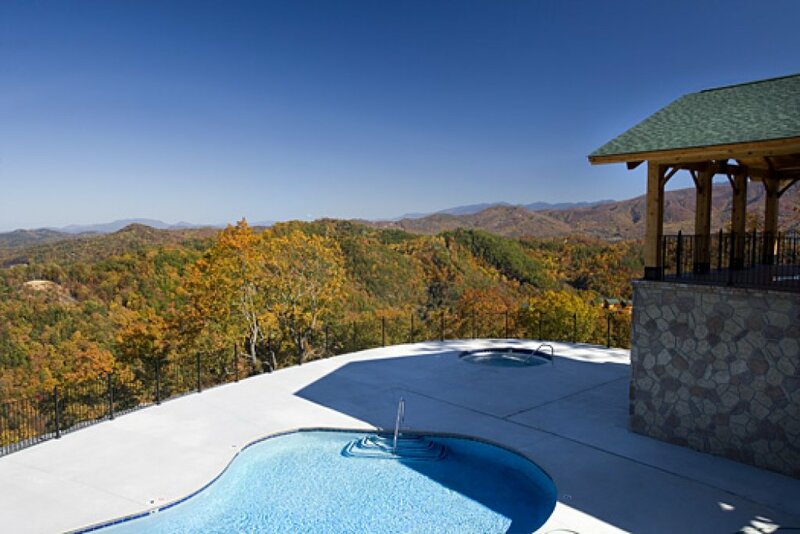 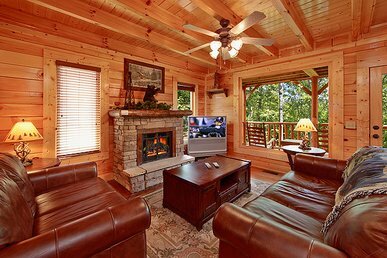 Located in beautiful Wears Valley, you will find a peaceful cabin tucked high in the woods, overlooking the breathtaking Smoky Mountains. 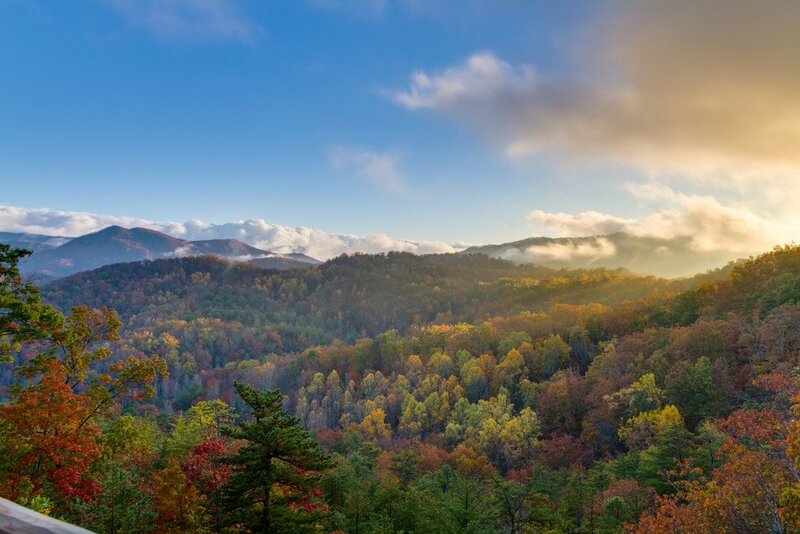 With Cades Cove or Pigeon Forge only minutes away, you'll be sure to have plenty to do! 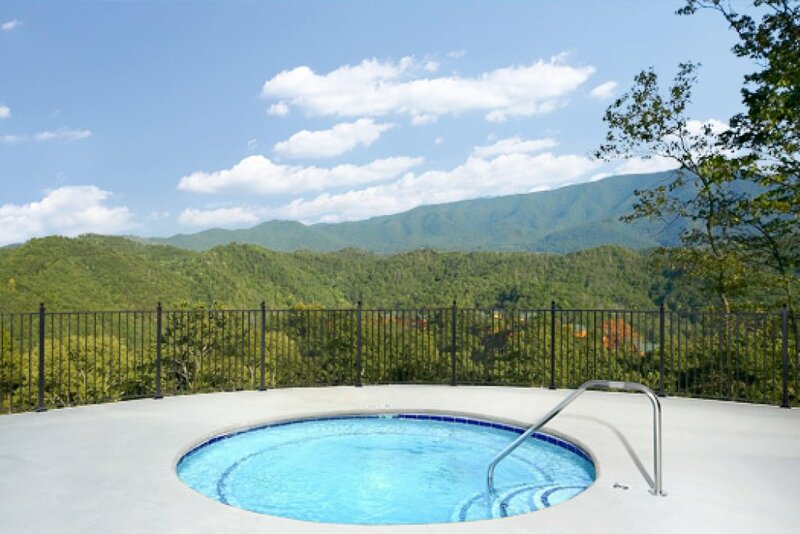 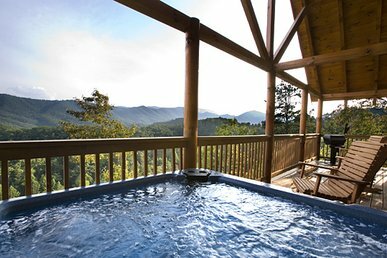 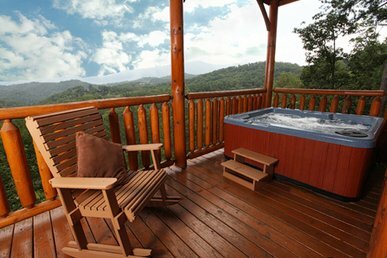 Back in your cabin, take your time to enjoy the scenery as you spend a couple of hours soaking in the hot tub located on the outside deck. 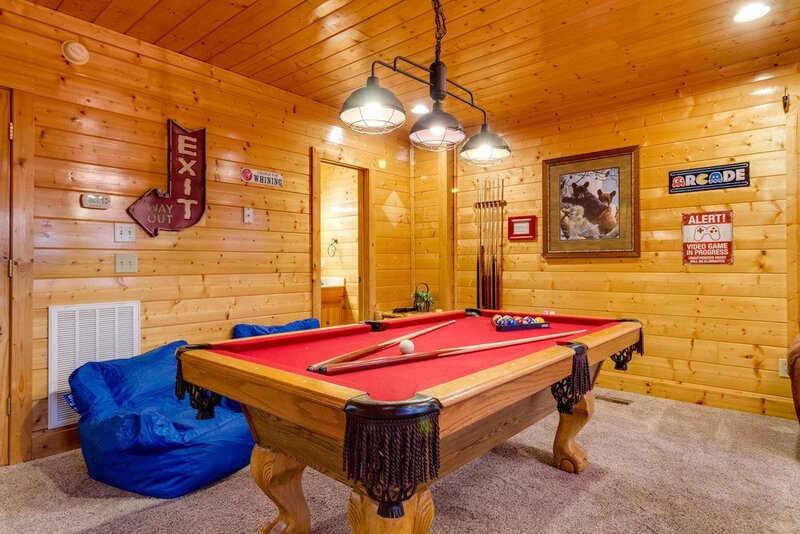 Relax and unwind as you challenge your loved ones to a friendly game of pool or Foosball. 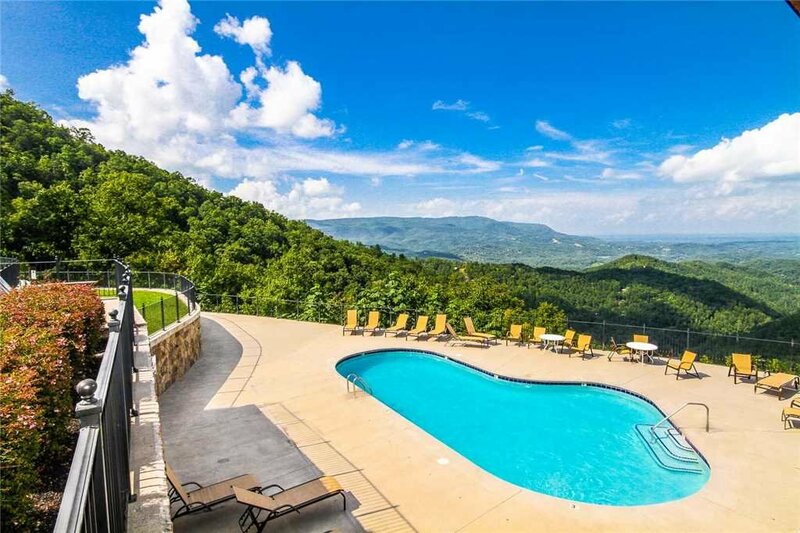 Complete your stay by taking a dip in the seasonal community swimming pool and then curling up on the couch with a bowl of popcorn to watch movies on your big screen TV. 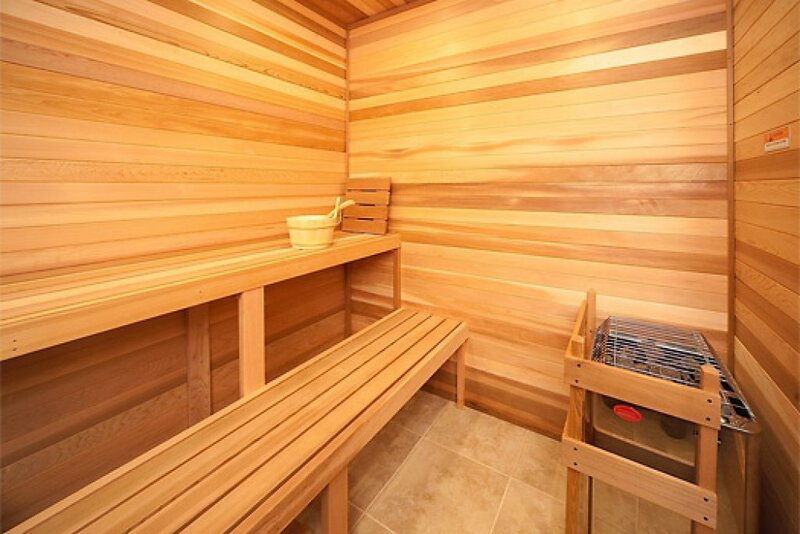 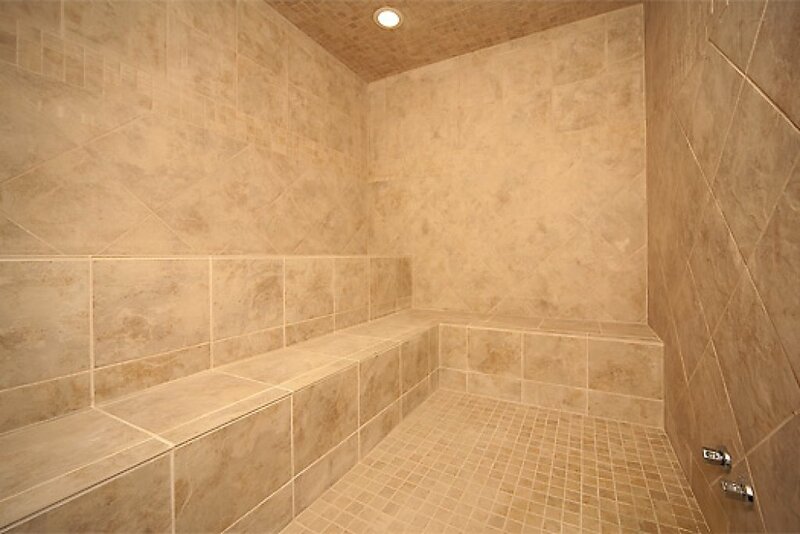 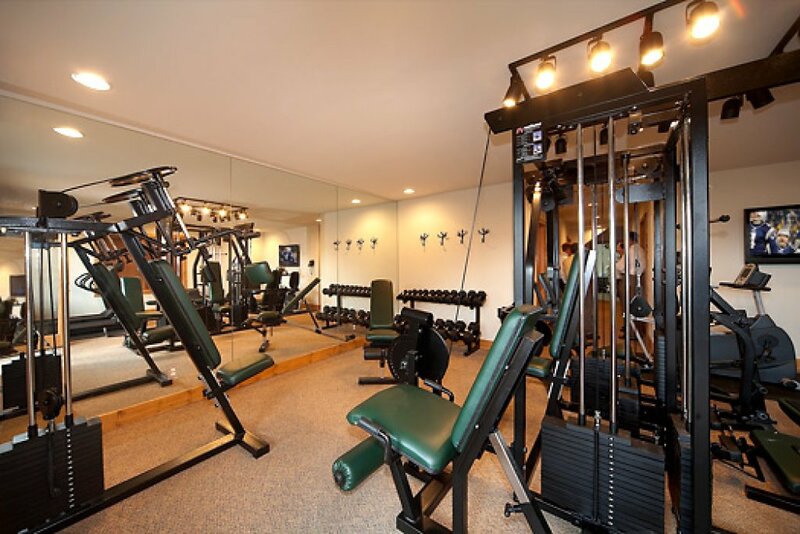 Keep up with your workouts using the on-site exercise room that also has a sauna and a steam room. 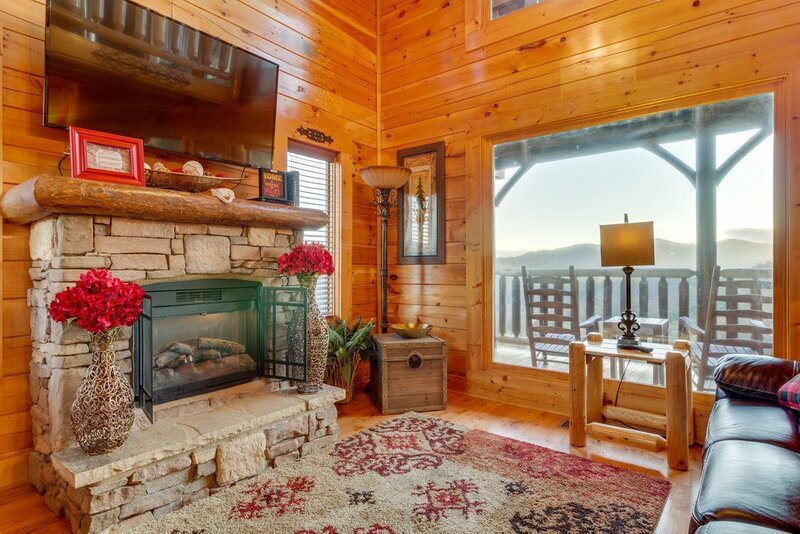 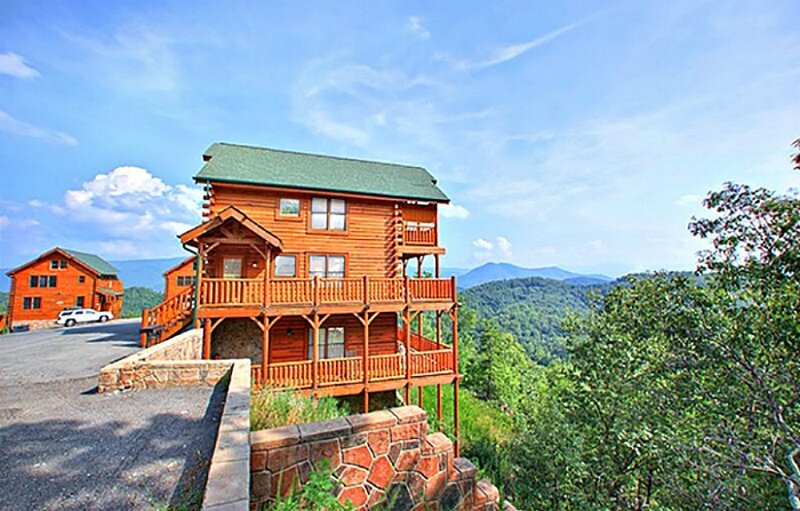 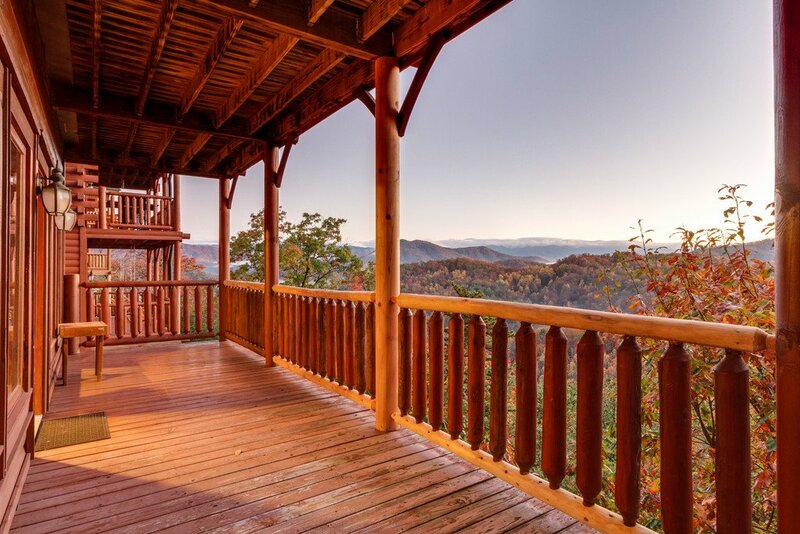 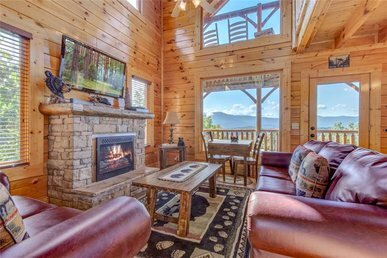 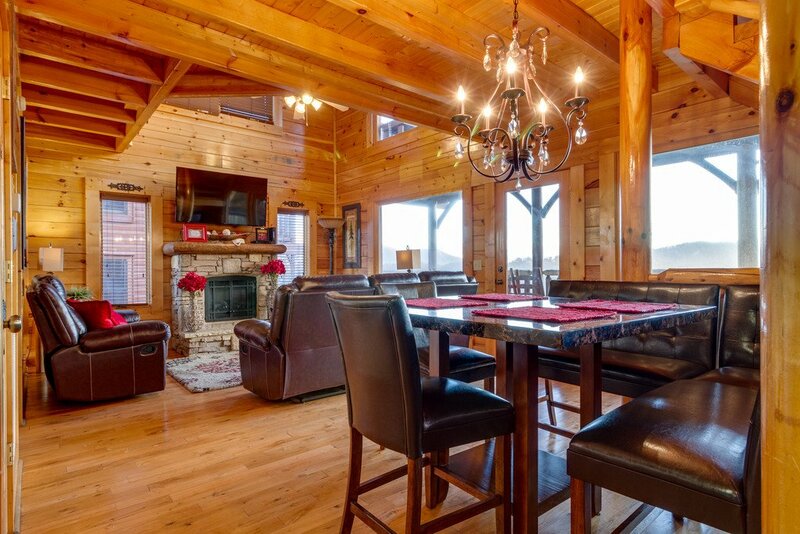 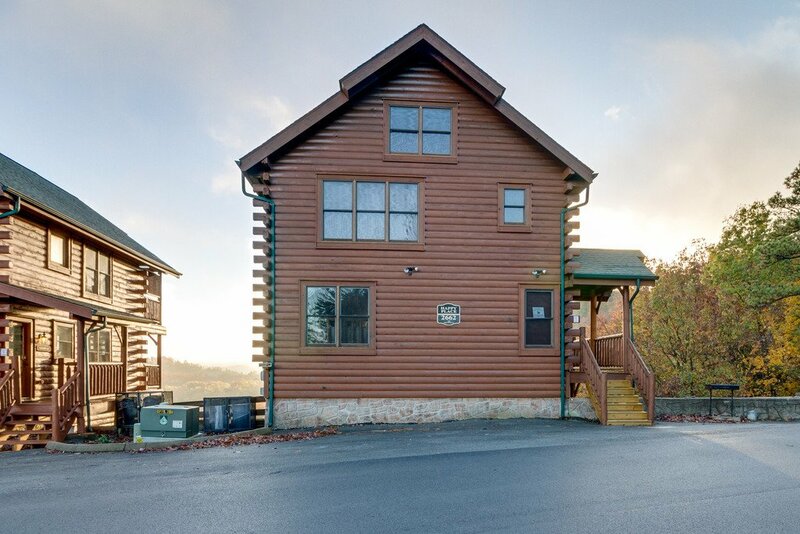 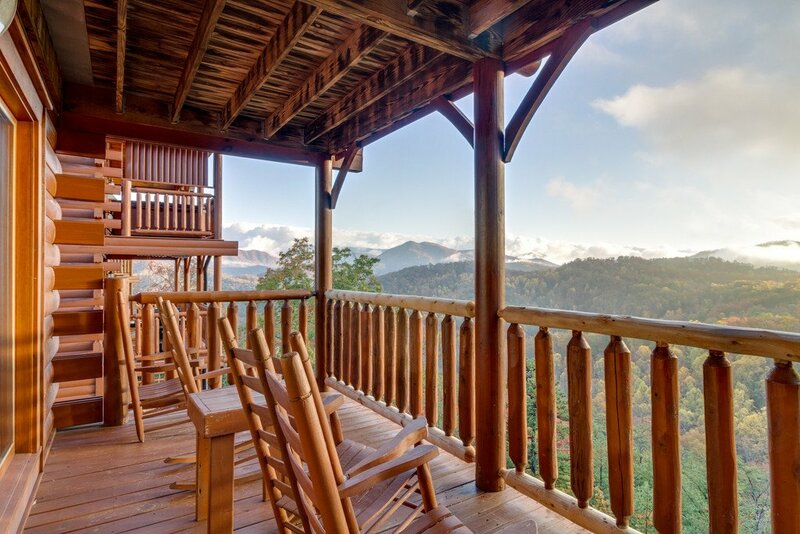 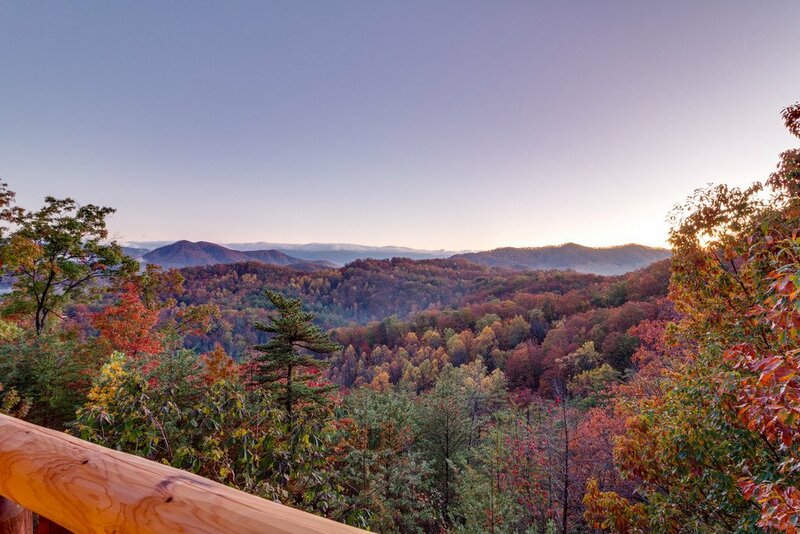 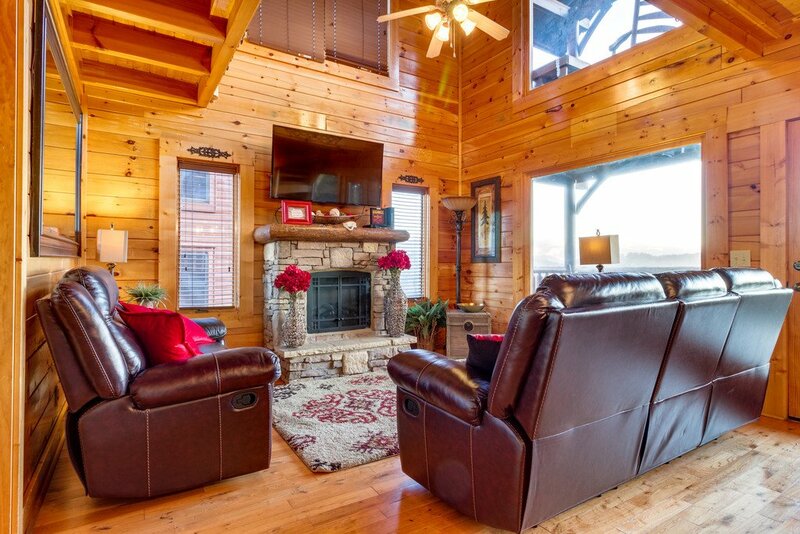 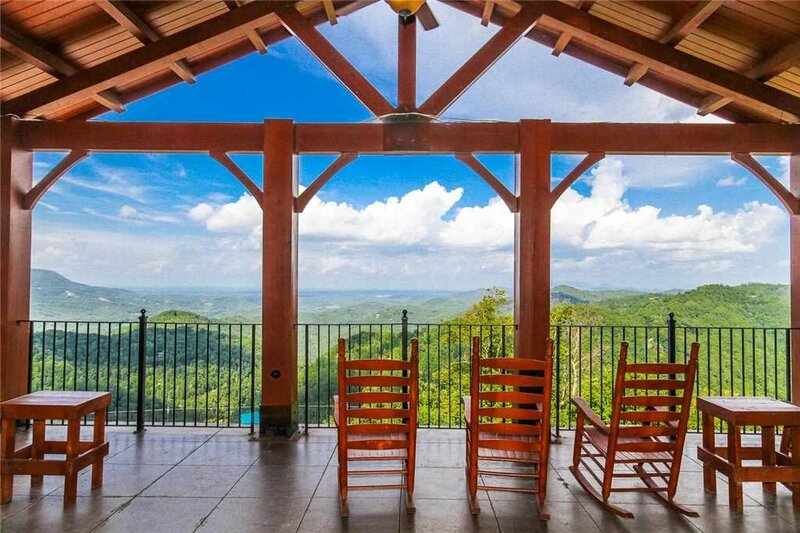 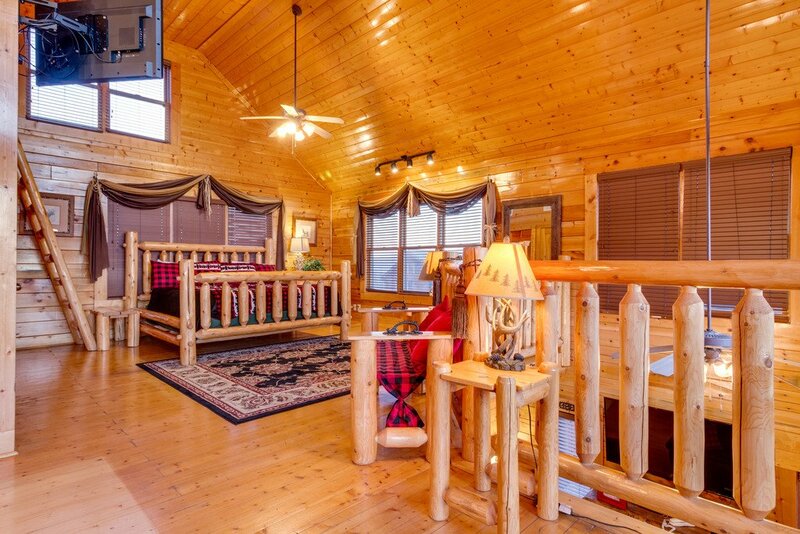 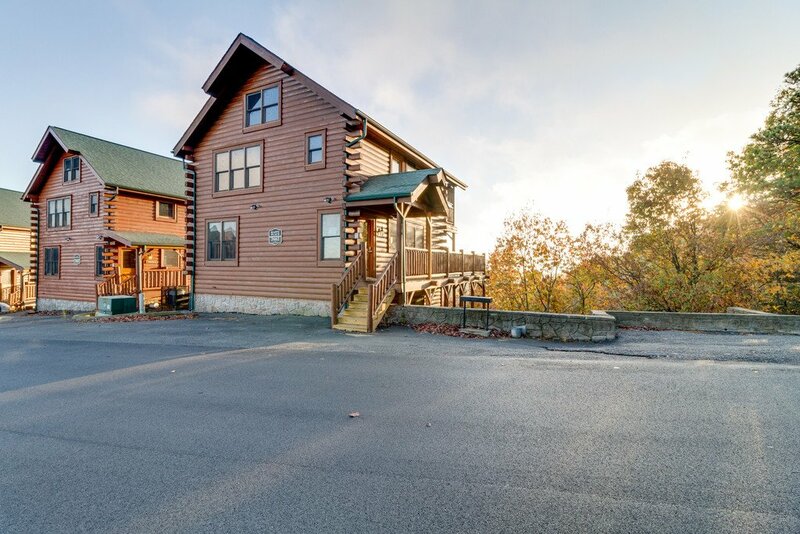 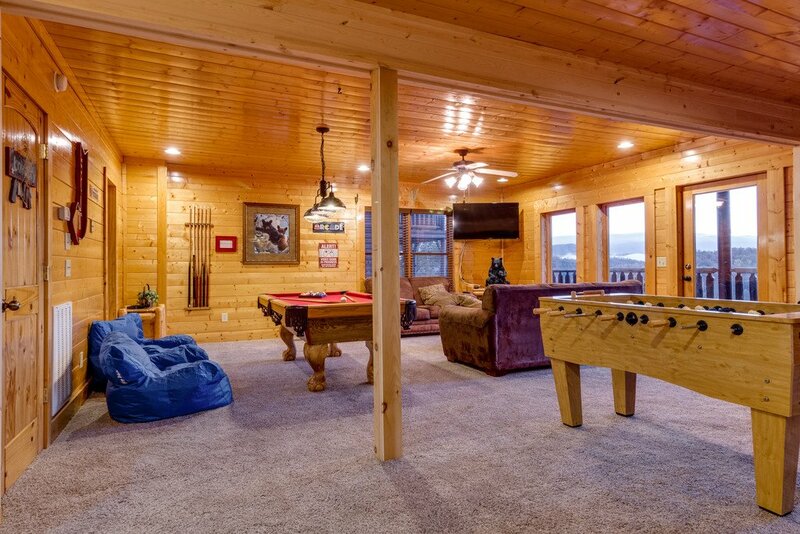 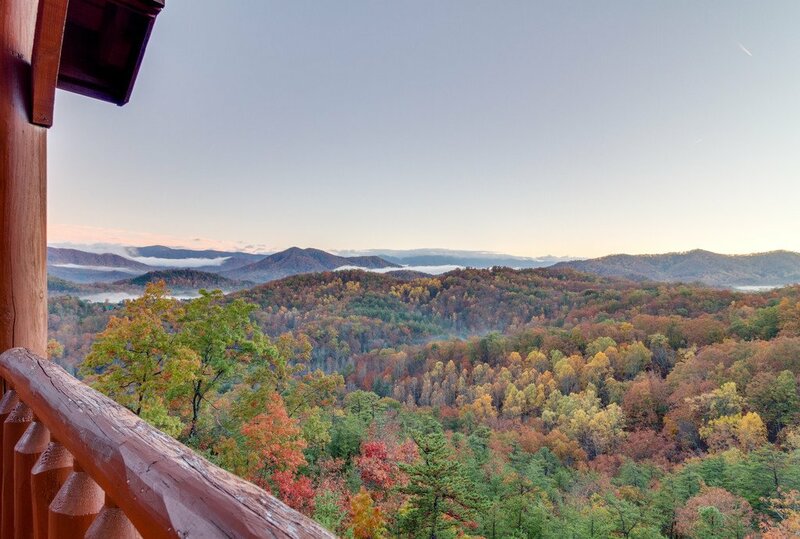 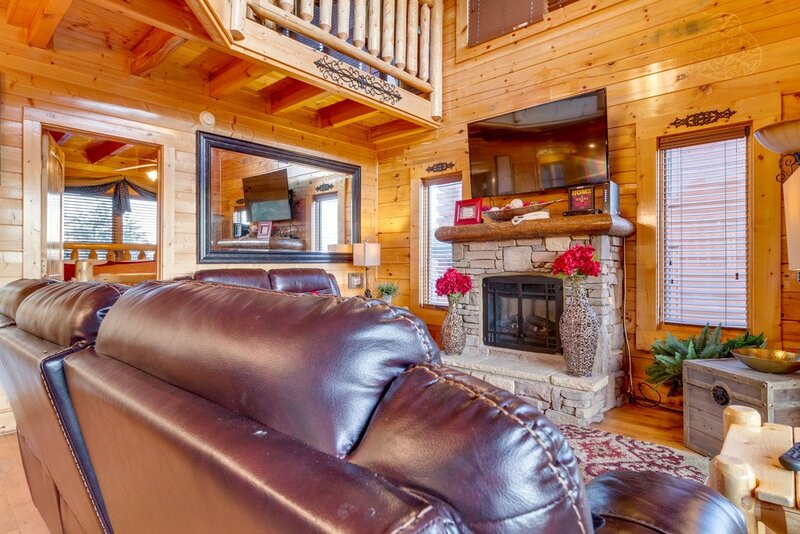 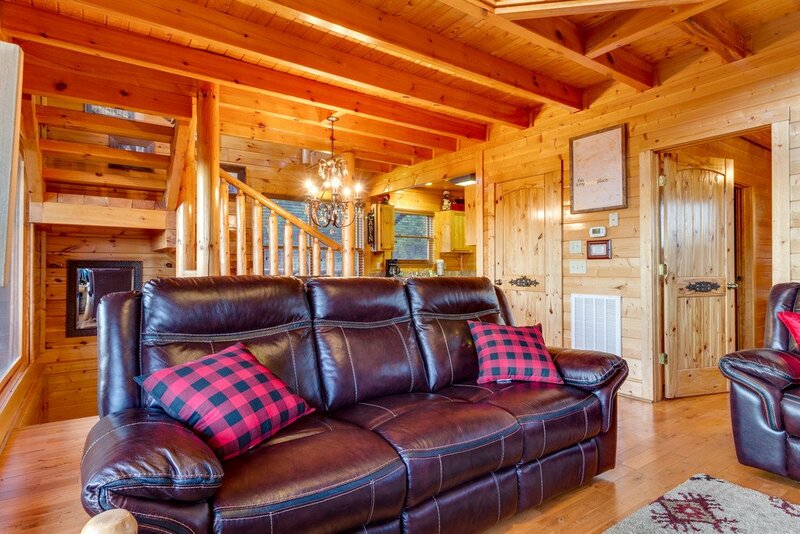 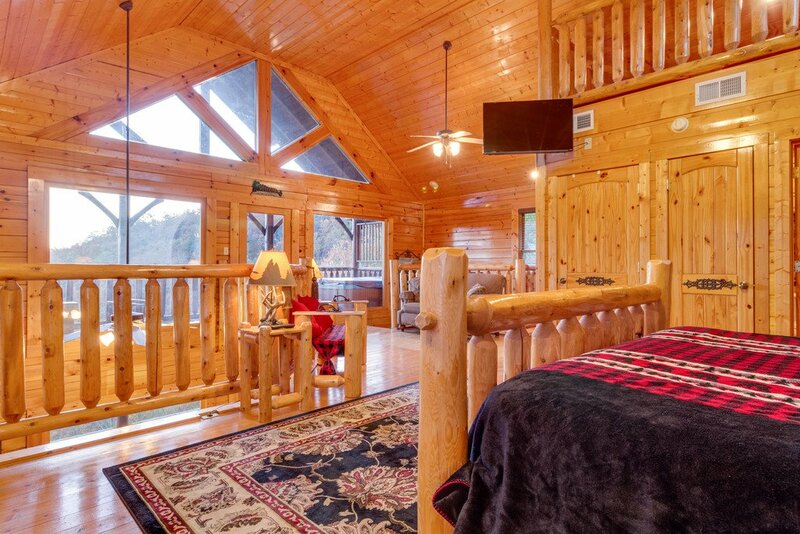 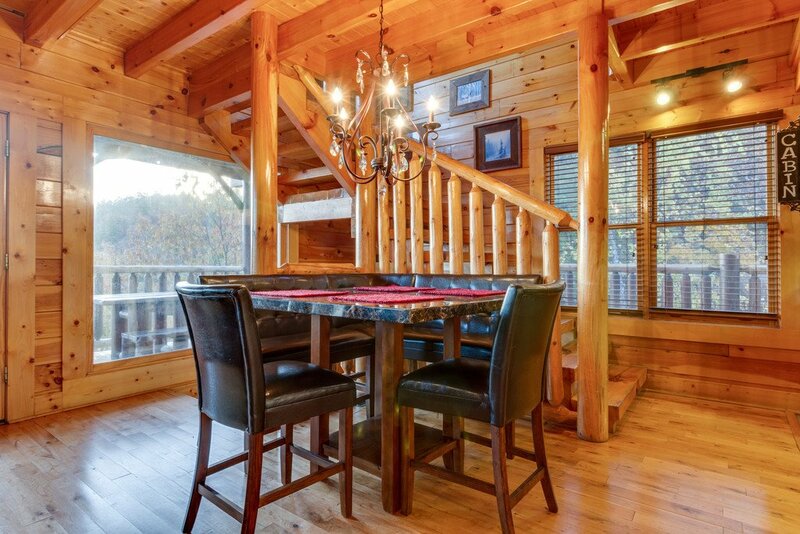 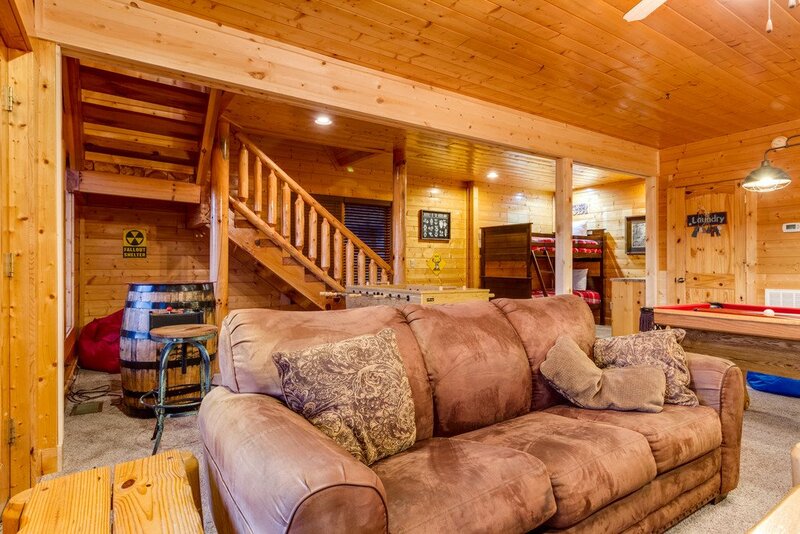 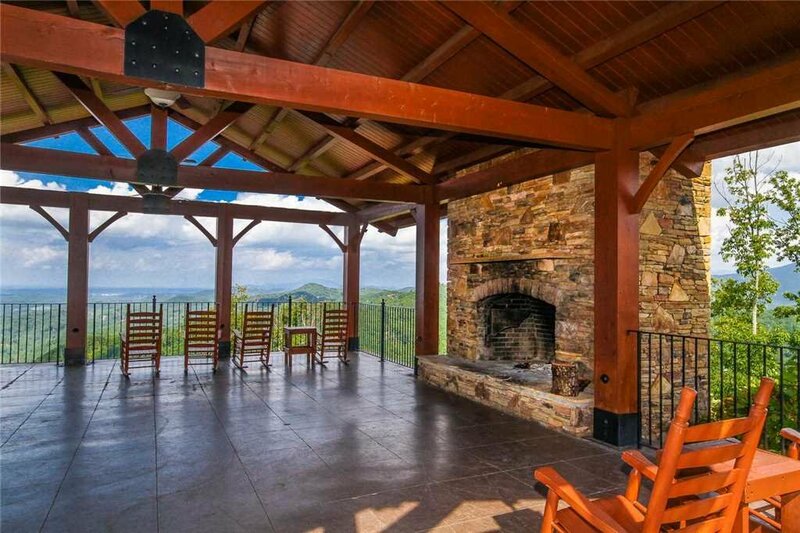 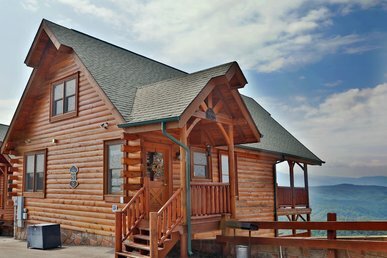 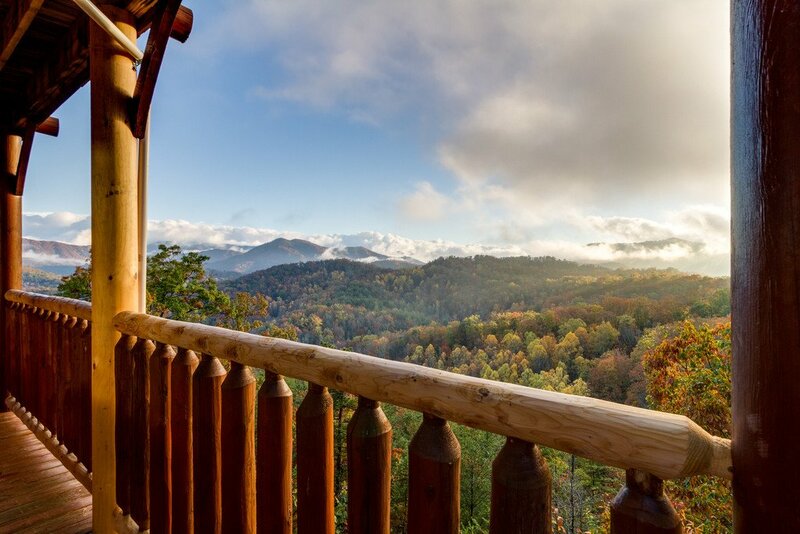 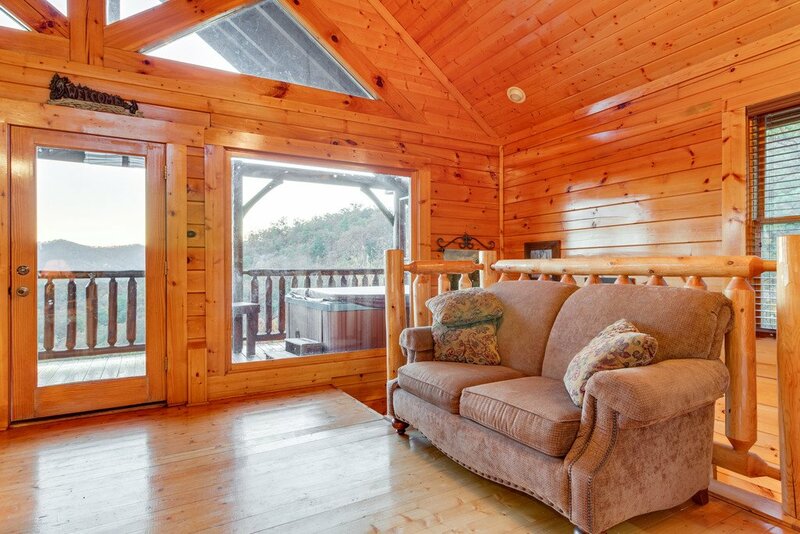 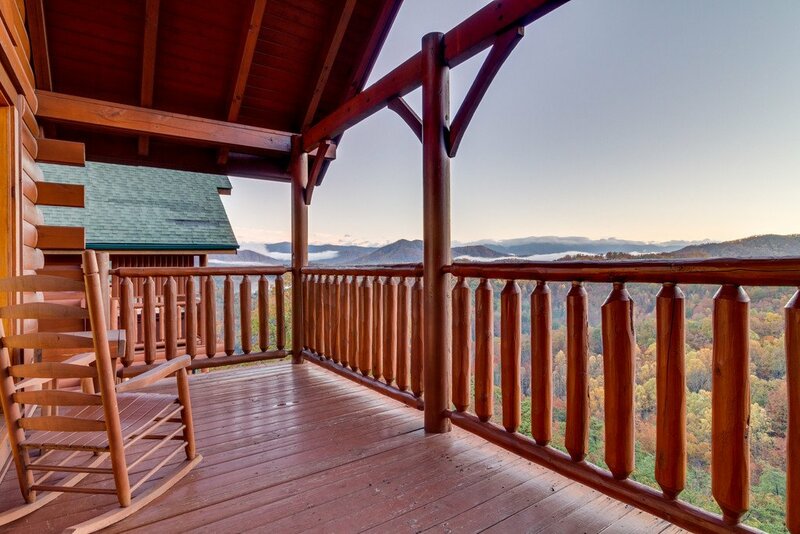 You will remember this cabin forever as your Smoky Mountain "Happy Place"!